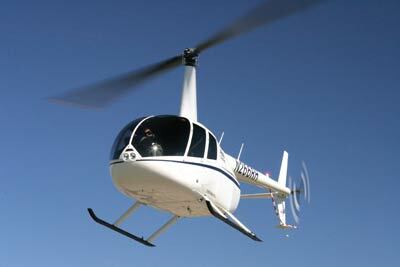 Aviation also includes helicopters and its ancillary activities. Helicopters also need to land and to be insured. Heliports face a range of risks and liability exposures in their daily operations, not all of which might be apparent at first. This information will to help facilitate discussions between legal counsel, risk managers and insurance brokers when reviewing and evaluating liability exposures and coverage needs for any given heliport location.Therefore we thought it would be useful to address this subject in our monthly newsletter. One should be aware that the article below addresses the subject in general, and does not go into detail in respect of U.S. or European law. What type of operations will be conducted at the heliport? Who owns the helicopters operated at that location? The services offered at the heliport. Will fueling operations be provided or conducted at the heliport? Will maintenance be conducted at the heliport? Will helicopters be stored or kept on the premises? Will third-party flight operations be conducted at this location? Heliport owners also should address the requirements and standards covering their respective facilities. Dependent on the types of operations conducted at a heliport location, there are (at a minimum) four basic types of coverage owners should evaluate and review for applicability beyond standard coverage. This should by no means be considered as a complete list of potential coverage and requirements, and one should seek professional assistance from qualified legal counsel and claims adjusters. The four basis types of insurance are: non-owned aircraft liability insurance, aviation-related activities and heliport liability insurance, ground hangar keepers liability insurance, and products and completed operations coverage insurance. If an entity contracts with an outside vendor for flight services or provides a helipad for third-party flights, there might be an additional need for specialized insurance coverage. 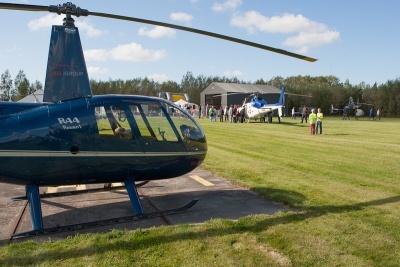 While it is understood that helicopter operators are responsible for carrying primary “aircraft hull” and “liability” insurance, heliport owners have a potential “non-owned aircraft liability” exposure should an accident occur while the aircraft is in flight to or from his or her premises or while it is parked on site at those premises. When dealing with any third-party aircraft or helicopter operator, prudent risk management practices dictate that as a starting point, heliport owners should require certificates of insurance from all helicopter operators operating at their facilities. Private heliport owners who contract with or allow other entities to utilize their facilities may also want to set standards for acceptable insurance company paper. Some heliport owners believe their commercial general liability (CGL) policy covers any risk exposure they might have, but they should keep in mind that there might be an exclusion “in connection with aviation activities” within the CGL policy or umbrella policy. Many CGL policies treat a heliport as an extension of the property or as another location, and coverage might include care and maintenance of the heliport. However, any type of aviation-related activity exclusion might create gaps in coverage. There are a large number of insurance claims every year associated with the ownership or operation of heliport involving debris sent flying when helicopters land or take off. Loose dirt or stones do get kicked up quite regularly and have been known to damage nearby vehicles or injure pedestrians. An additional consideration would be damage to a third party’s property, such as damage to a helicopter while it is on the insured’s heliport due to the insured’s negligence. Heliport are oftentimes situated in close proximity to buildings, vehicles or pedestrian walkways and, in some cases, located on building rooftops. Although heliports are a significant benefit to operational convenience, they can increase risk and liability exposure in the case of a tragic accident occurring on or in the vicinity of the heliport. The location where a helicopter is based or remains for an extended period of time or for longer than normal use is known as the ground hangar. The coverage provides for aircraft that are not owned by the heliport owner, but the heliport owner may be held liable while the helicopter is at the heliport owner’s facility and in the heliport owner’s custody. In the case of tampering with a helicopter or causing inadvertent damage to a helicopter at a heliport due to a security breach, which in turn is proven to be a contributing factor in an accident, the owner of the heliport could face a significant liability exposure. At heliports that provide fueling or maintenance for helicopters that land at their sites, this coverage protects the owner from indirect or contingent liability. While products liability can be included in the basic general liability coverage form, it can also be written on its own. Primarily it is designed to cover the policy holder against claims stemming form products sold, manufactured or distributed such as fuel. There are as well other points to consider. One concerns instrument approaches. If there is an approved instrument approach provided for at a heliport, whoever owns and maintains the approach will be generally covered under standard operations and in aircraft for which they are operating under their certificate. If a third party is allowed to utilize the instrument approach procedure to the heliport without significant prior coordination between both parties’ legal counsel and claims representatives, it is very likely that the heliport owner will not be covered in the case of a mishap. Another concern relates to radio communication systems. In cases where a heliport has an on-site ground-to-air radio communication system, also known as a Common Traffic Advisory Frequency, or CTAF, great care must be taken as to what information is offered over the radio to pilots. Only certified air traffic controllers, operating under FAA regulatory guidelines and licensure may provide air traffic direction. Heliport owners who have radio systems that are used to communicate with aircraft operating at their facilities should ensure that their staff and agents have been provided proper, documented training and that they understand these communication limitations. Though punitive damage awards are relatively rare in aviation personal injury cases, this does not mean that these types of claims should be disregarded. Therefore owners will need such counsel from legal representation along with claims professionals when considering punitive damage awards for an accident at a specific location. It is very important to note that each jurisdiction will differ as to what damages may be recovered and what, if any, caps are imposed for insurance on punitive damages. States also differ on the methodology required by a plaintiff to prove punitive damages. Thorough research in regards to site-specific regulations, limitations and compliance through legal counsel is recommended.